The Golden Bears enter Saturday’s game off a 66-27 loss to No. 4 University of Washington. The two leading offenses in the Pac-12 clash on Saturday, putting the final score in the hands of two streaky defenses and their abilities to shut down the opposing team’s quarterback. It’s clear that the WSU (7-2, 6-0) offense is a force to be reckoned with, and has not struggled much throughout the first nine games of the season. The Golden Bears (4-5, 2-4) are the only team standing in the way of the 22nd-ranked Cougars leading the Pac-12 in total offensive yards. 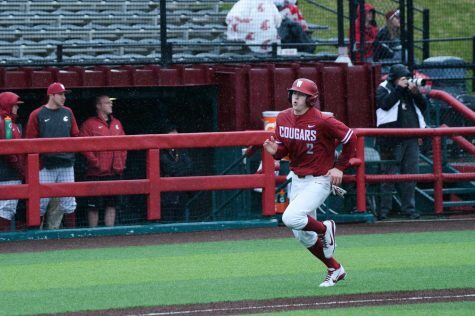 The Cougars took down their sixth-straight Pac-12 competitor last weekend, rolling over Arizona 69-7 in a fashion that was somewhat of a surprise after the mess that was the Oregon State game the week prior. Against the Wildcats, redshirt junior quarterback Luke Falk had a game for the record books, completing 32 of his 35 passes for 311 yards in the three quarters he played before giving way to redshirt freshman quarterback Tyler Hilinski. Hilinski threw for 163 yards in his WSU debut for a total of 474 passing yards for the game between the two quarterbacks. A good day for the two quarterbacks made for an equally successful game for receivers, specifically redshirt senior Gabe Marks and senior River Cracraft, who combined for 158 receiving yards in the game. Cal’s season has not gone quite as smoothly as WSU’s. The Golden Bears sit two games below .500, largely in part to a pair of overtime losses to Arizona State and Oregon State, teams even with or lower than Cal in the conference standings. 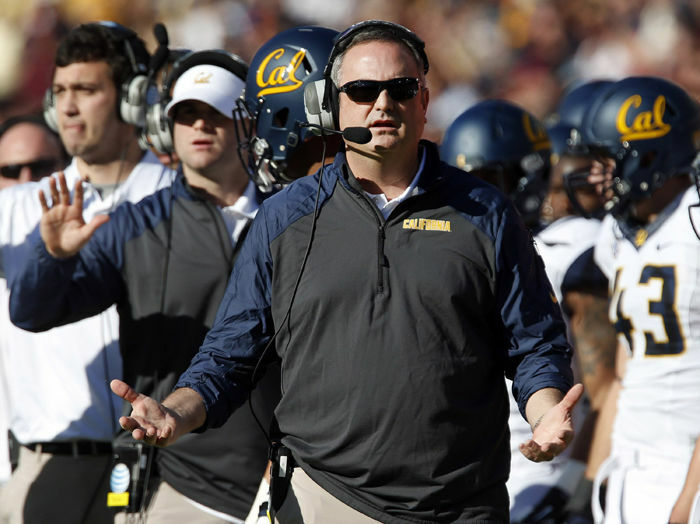 The Golden Bears’ previous two losses, however, are a bit more justifiable. On Oct. 27, Cal fell 45-24 to the University of Southern California, who recently made its way up to No. 20 on the College Football Playoff rankings. To an extent, a 66-27 loss to an undefeated and fourth-ranked Washington Huskies team is not something to be ashamed of. Cal trailed by just one point toward the end of the first half. Cal senior quarterback Davis Webb had a rough game against Washington, completing 23 of 47 passes for just one touchdown against a stout Huskies defense. The Golden Bears’ defense also struggled to shut down UW’s powerhouse offense, tying a school record for most points allowed in a game. That being said, it’s safe to say that the loss to Washington can be looked at as an outlier. Nonetheless, Cal has maintained its dominant offensive presence this season, leading the nation in passing yards. WSU follows closely behind in second. As far as rushing yards go, Cal has 133 more than the Cougars on the season. WSU has run into trouble against teams similar to the Golden Bears in the win-loss department, gutting out an ugly 37-32 win over ASU (5-4, 2-4) on Oct. 22 and staging an 18-point comeback victory in Corvallis over the two-win Beavers. 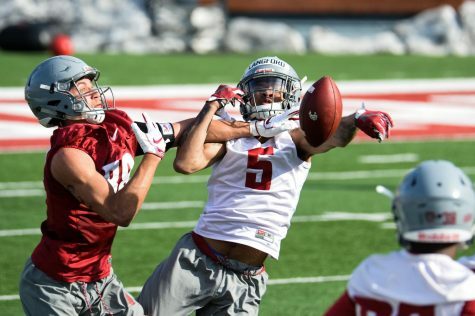 The first half discombobulation against OSU in particular showcases the Cougar’s defensive inconsistencies. Down 24-6 at the half, Falk saved the day with three touchdown passes in a 10-minute span in the fourth quarter. The matchup between the two offenses, as well as both teams’ defensive issues, likely makes for a high-scoring affair. The trio of Falk, Marks and Cracraft should have no problems gunning down Cal’s struggling pass and rush defense, but the same is true for Cal’s Webb, redshirt junior wide receiver Chad Hansen and junior running back Tre Watson. Cal will have an edge over WSU in the special teams department. Redshirt junior kicker Matt Anderson has converted all point-after-attempts for the Bears this season, and has hit 16 of 18 field goals, the longest coming from 47 yards out. So, Cal is going to kick, and probably a lot. Final Prediction: 41-31 Cal. 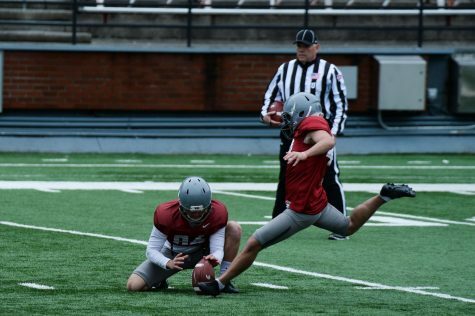 The utilization of Anderson is the push the Golden Bears need to steal another game from the Cougars, as WSU redshirt junior kicker Erik Powell again misses a key extra point of field goal attempt in the second half.